When this case arrived in the EssentialMac plaza (shack by the sea) initially it was met with a sigh by my co-workers. Yet another case lands on the doormat do we review it, write back with a thanks but no thanks but this one was different. It’s clear that Noreve are out to live up to haute couture stylings and deliver something a little bit special from the moment you open the box up. Before we dive into the review, if you are looking at this one case and thinking you don’t like the color or the styling fear not. There is a match and finish to suit even the pickiest of tastes. Granted I might have the same dress sense as Jeremy Clarkson clothes but even that doesn’t stop me seeing this as a fashion accessory with practical meaning. With so many offerings you can pick up a case for literally any occasion. Need something rough and rugged, no problem, looking for something elegant, again noreve have it covered. Those more trendier than myself accessorize and these days cases are no longer the exception. So if you’re looking at this case and thinking “it’s not for me” it’s still worth a visit to their website. After all they do offer a 100% satisfaction guarantee. 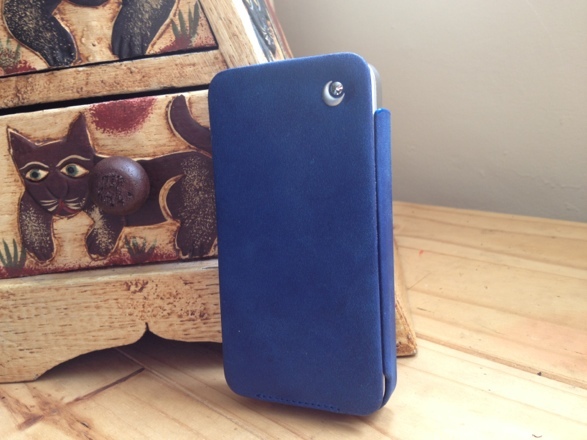 So with that out-of-the-way let’s get onto the NoReve iPhone 4 Traditional Leather Case. Opening Up A Noreve Case. [pullquote_left]..it comes with a screwdriver? [/pullquote_left]Realising the experience of your purchase starts the moment you open the box, noreve have put their cases in some rather spiffy packaging. 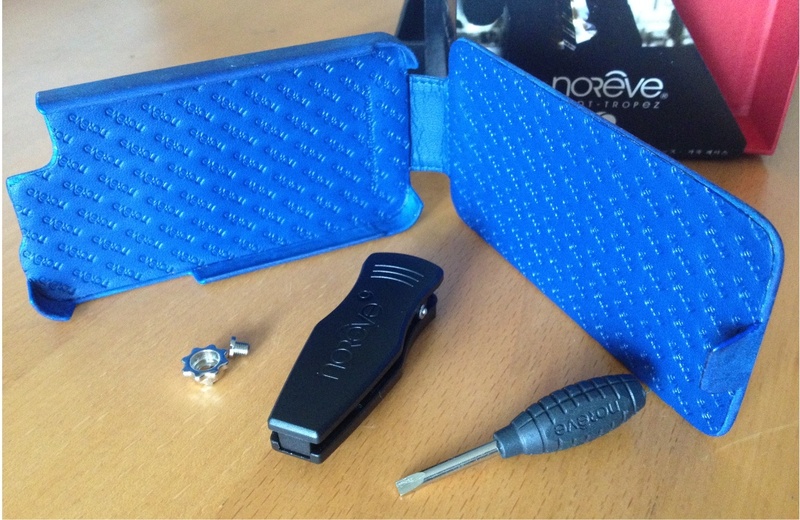 Yes it comes with its own screwdriver but there’s no technical knowledge needed, just a small unscrewing from the back f the rather nice NoReve box. That mini screwdriver also comes in handy if you want to attach the included belt clip. To stop the case getting damaged in transit and for display purposes it’s screwed into the back of said box. Showy? Perhaps but imagine giving one of the many NoReve cases in a stylish box, seated securely without rattling around sure makes that gift of giving a lot easier. Would you rather get a phone case in a plastic, finger cutting box, or a nice elegant package? So once the case has been set free you’ll see a handy-dandy belt clip which is down to personal tastes if you want to display your case to the world. Some cases are better suited to this than others. Those with fashion sense will know what goes with what unlike myself. In my real world usage of case vs jeans pocket things went well. 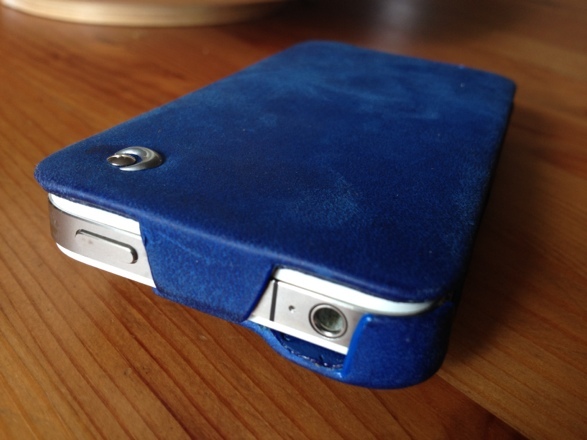 Due to the suede material my iPhone was safe enough to be secure and better yet slid in and out of my pockets with ease. Everything is kept in place by grabbing onto that metal iPhone band and again because of the soft nature you won’t have the worry of scratches of blemishes happening to your actual device. iPhones are not the only gadgets supported. Nexus 7, Android and Samsung are all covered in their product ranges. I’ve a cheap rubber case that I only use for the car to stop it sliding around and I’m almost sure it’s a major reason in some band blemishes. No such complaints as although things are held in secure it’s not feeling forced. With the case closed things are nicely protected and scratch free. 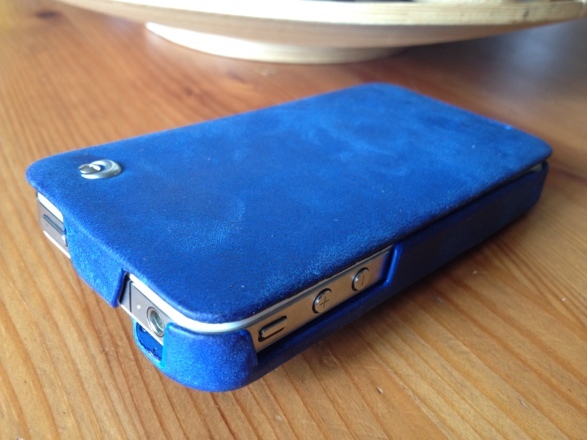 That leather finish has a superb tactile feel as does the case in general. Embossed on that flap is the noreve logo which again has a great “feel” to it. Keeping that front flap in pace is the job of that raised lip as pictured above. 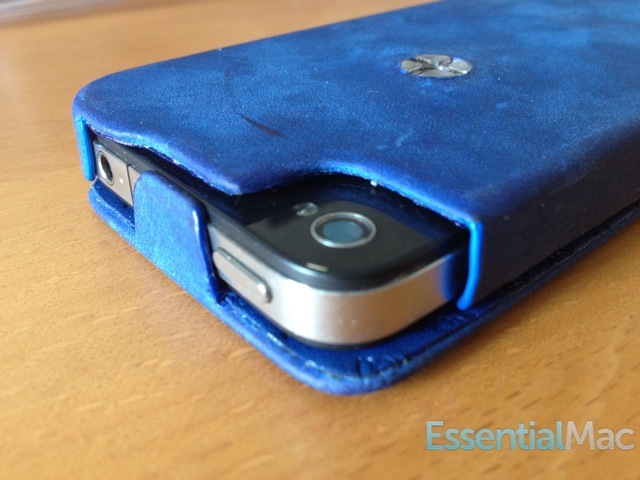 This does a grand job of keeping that flap up so your device is nicely protected against pocket warfare. You know those keys, coins and other miscellaneous what not from pocket or handbag storage. Initially that lip was annoying for the few usages. Overly stiff meant getting to my phone was a chore initially but after some usage and learning the trick of pushing your thumb onto the front to create a slight bend, things were better. These materials lens themselves very well to a breaking in period. 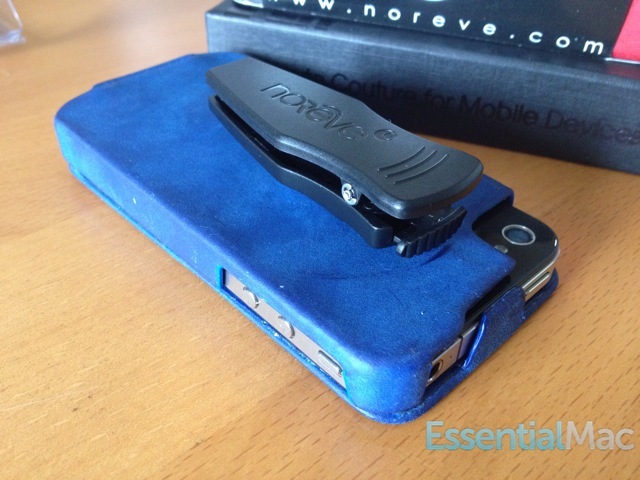 So moving onto the back Noreve Exception Selection case there the option for putting a case clip on. 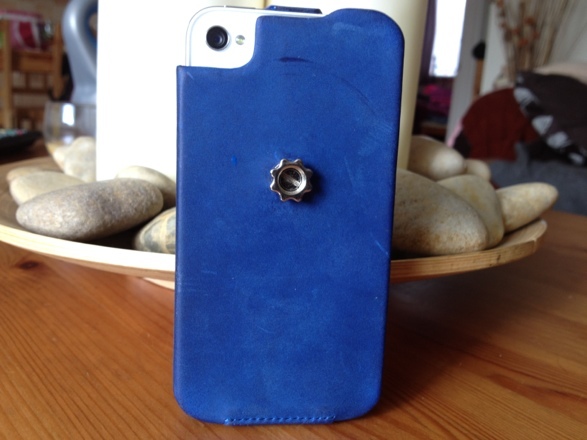 Undo the screw, put in place that star-shaped holder, screw in and you’re set to display the case to the world. Fitting the belt clip is a simple matter of sliding into place till you hear a satisfying click. At the top of the clip there’s a spring-loaded release. There is a knack to it and at first it’s touch stiff to start with but you soon learn where to press in relation to the case. Those eagle eyed to notice will see the scuff mark from the clip makes contract with the suede if you wear your phone holster style. Remember what I said earlier with regards to getting the case that suits you? Suede in all shapes and forms lends itself easily to scuffing. 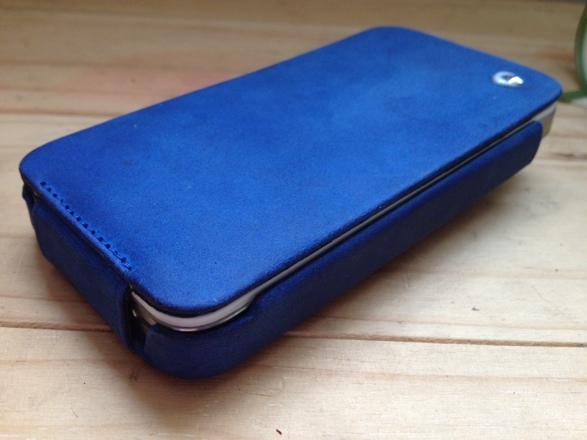 Granted my real world tests are probably slightly unfair as this particular Exceptional Selection leather and suede iPhone case lends itself well to fashion more than ruggedness. Not to say it doesn’t do a grand job of protecting your phone but you wouldn’t wear suede boots to a farm now.. would you? 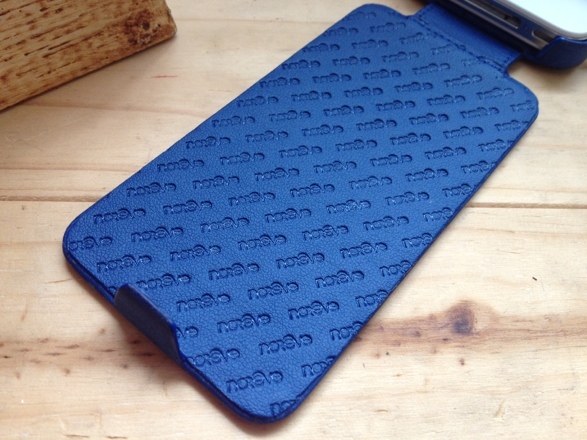 So there we have it, the Noreve Exceptional Selection Leather iPhone Case, nicely formed, well made, quick delivery and with all that positivity let’s move onto.. The case flap does tend to grip a bit too well at first. Strong fingernails were required to gain access at the start of the review week. A nice right angle or something to get a hold of to lift that tab up would be great. Granted you can use your nails to get underneath it but thankfully the case breaks in nicely over a few days. My review model is the Special Leather Exception Selection and because it’s suede will mark and scuff easily so when making your choice take this into account. This is in no way the fault of the case but the material itself. When testing cases like these I tend to actually take them into the real world, in other words actual usage over a period of time and not just opening it on my desk, reviewing, packing it up never to be seen again. 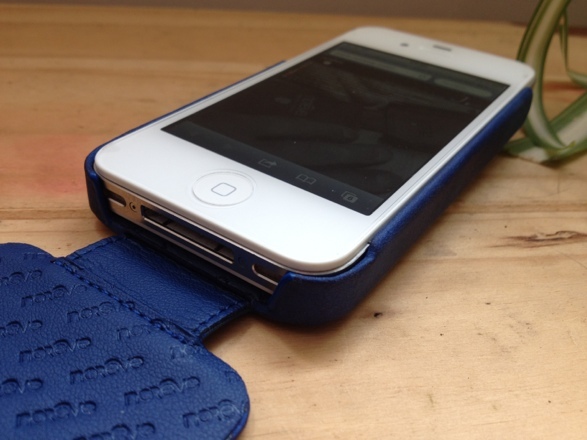 Quality oozes from head to toe from the moment you open the box and sit your iPhone into the case. Assembled out of top quality leather and suede its overall polish sets a high standard and so it should be when your usp is fashion / the haute couture area. 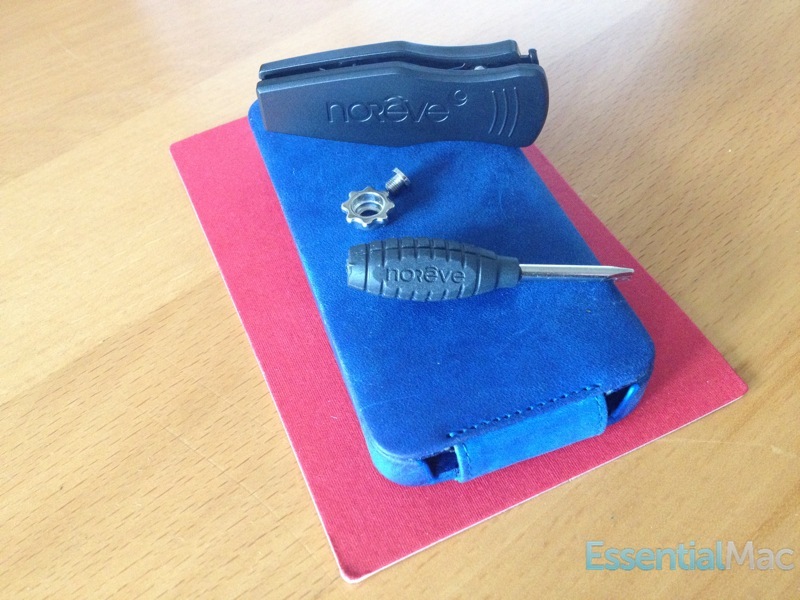 It’s not hard to recommend a case from Noreve, especially one from the Exceptional Selection. Well presented, superbly made and cases for the most discerning of tastes they come heartily recommended. Don’t forget Noreve also offer a 100% satisfied or your money back promise.